Fresh out of school and into the emerging Australian Hip-Hop scene, Sale-based rapper C-K-H has just released his highly anticipated debut EP 'Maybe One Day I Will' along with his newest single 'Disrespectful' which was premiered via The Partae March 15th. Playing on the theme of adolescence and weighing up the pros and cons of being sensible, C-K-H brings a view beyond his years where he is stuck between a vortex of friends going down the wrong path and dreams that are only achievable with a clean state of mind. A personal touch to 'Disrespectful' is his teachers' speech confronting C-K-H and his close friends which lead him to ponder on life decisions that were fast approaching. 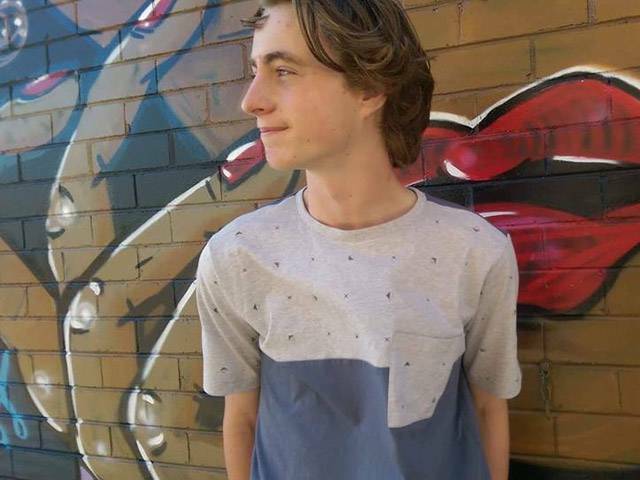 C-K-H has achieved some notable successes in his short career, including winning the 2018 Bairnsdale Battle of the Acts and accumulating 23,000 plays on his single B l u e.
Having played his role in community held events and building a reputation within his region, it is clear C-K-H is ready to level up, the proof being in his outstanding work ethic and will to elevate to levels of his inspirations such as Joyner Lucas and Kendrick Lamar. C-K-H: I would describe my music as energetic and insightful. It's insightful as it gives an insight into the life of a passionate young mind gaining an understanding of the world around me and my thirst for success in the music industry. C-K-H: My favourite song to perform is 'Maybe One Day I Will' because it most accurately represents my mind state of having a passion in theory but confusion into how to implement my enthusiasm. It also is always one of the first songs in my set list and is an attention grabber and I love to see people slowly gauge interest in my music; it fascinates me. C-K-H: At my live shows I love for everyone to be happy, so I'd love if Carlton coach, Brendon Bolton was at one of my shows. I'm not a Carlton fan, he is just always happy. C-K-H: Performing live is the pinnacle of music for me because I love seeing people enjoy what I create. In the studio I can't physically see that and when the music comes out on digital markets I receive messages of people telling me they are enjoying it but I never see it. Live is fun, I enjoy it. C-K-H: The idea of someone enjoying what I'm creating. Combined with the feeling at the end of the day when I sit down and listen back to what I've created, and I am proud of it. That's one of the best feelings in music. C-K-H: I'm really digging alternative indie rock artists at the moment. Artists like Angie McMahon, Stella Donnelly and Julia Jacklin are at the top of this genre at the moment and I love it. C-K-H: Tash Sultana was a huge inspiration for me. Just seeing her raw passion for music moves me more than anything or anyone else. I just can't believe how talented and fiery her music is. I took one look at her bedroom videos back in the day and my career path was already drawn. C-K-H: I'd love to collab with The Kid Laroi. Not just because he is the future of Australian Hip Hop, but because he is paving the way for other up and coming artists in Australia to follow him. Also I think it would sound fire with his catchy hooks would work well with my raw verses. C-K-H: I try to write once a day, so I get up, eat, and write. Then I do all the admin artist stuff and if I have time develop a beat idea I've had, or been working on. I'm massive on fitness so I go for daily runs and work out. I aim to perform five times a week, so most nights, if I don't have a scheduled gig; I go and busk on the streets of Melbourne, or play at an open mic night. C-K-H: Seeing people enjoying my music.